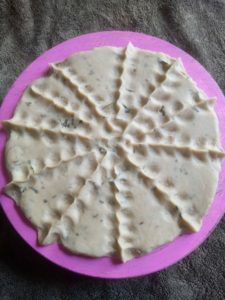 wheat flour/gehu atta, kasoori methi, ajwain, salt, cumin seeds, oil, and water. 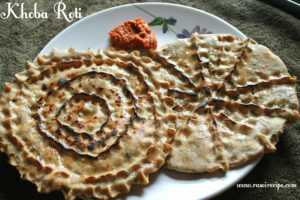 It is around 1/2-1″ thick roti on which patterns which cover whole roti are created. Khoba itself means cavity or depression. 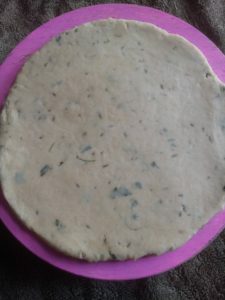 Method of preparation of this roti is very easy. 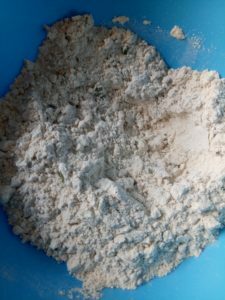 Khoba roti is a rich mix of wheat flour and a few spices. 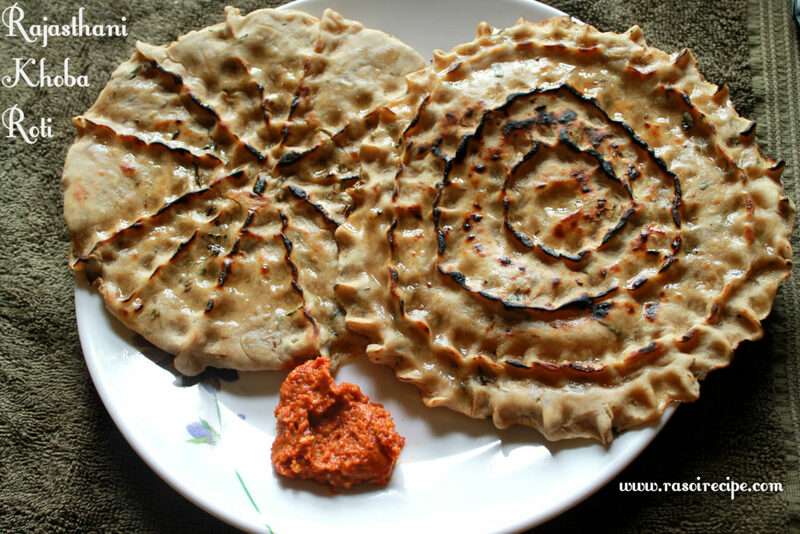 Rajasthani cuisine is full of various delicious roti, Khoba is one example from the vast range. Loaded with a generous amount of ghee, it is a traditional way to serve. 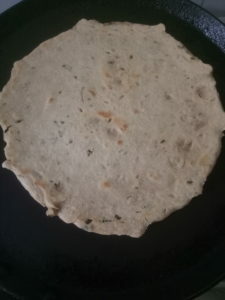 Cook it on a low flame as it is a thick roti. After cooking on the low flame from both the side, cook on direct flame. 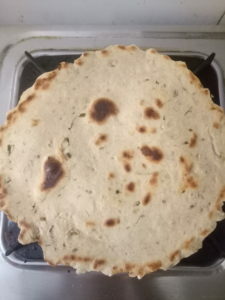 For more paratha recipes, you can check Paneer Baida Roti (cottage cheese & egg parcel) , Frozen Paratha | How to make frozen paratha, Jhatpat ratlami sev paratha (sev stuffed paratha) , Lachha Paratha (Warqi Paratha, Layered Paratha) , Gobhi Da Paratha. 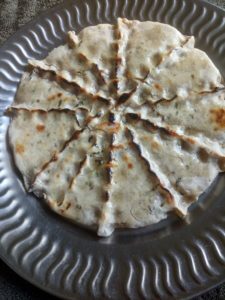 Rajasthani Khoba Roti - A beautiful piece of art which is thick and traditional roti from the land of Rajasthan. Serve it hot with Dal/Mutton/Lehsun chutney. 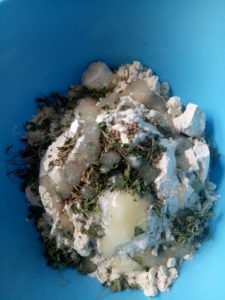 In a mixing bowl take wheat flour, carom seeds, cumin seeds, salt, ghee and dry fenugreek leaves. Mix well. 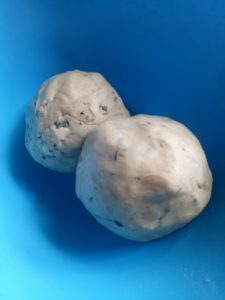 Knead a soft dough with the help of water. Keep aside to rest for 10-15 mins. 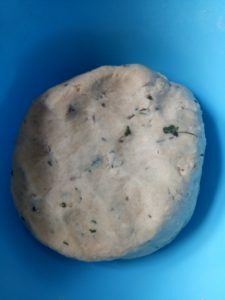 Make a roti of 1/2" thickness. Now carefully start pinching roti to get a beautiful pattern of your choice. Below I am sharing two different patterns. You can design your own or choose any one of them. 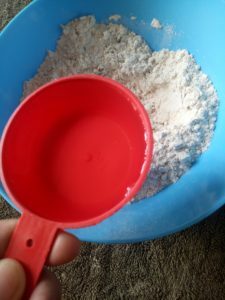 Start cooking roti on low-medium flame. Flip when it is almost done from one side. Cook from both the sides till golden brown. 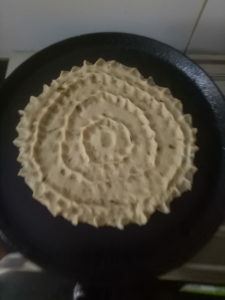 To cook corners of the roti, cook directly on the flame. Cook all the rotis, same way. Apply ghee on the roti generously. 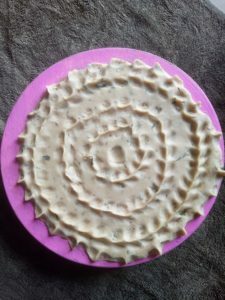 Serve hot with dal/mutton/lehsun chutney. The patterns on them look pretty cool. 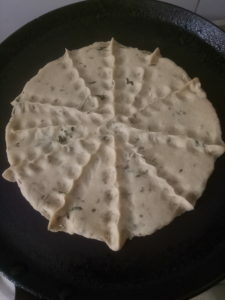 So it almost like a flatbread of some sort?